"I’m really just trying to sit here and just really enjoy this moment because it’s very rare to have these kinds of moments where so many cool things are happening in your life.," Rhett said prior to the celebration. 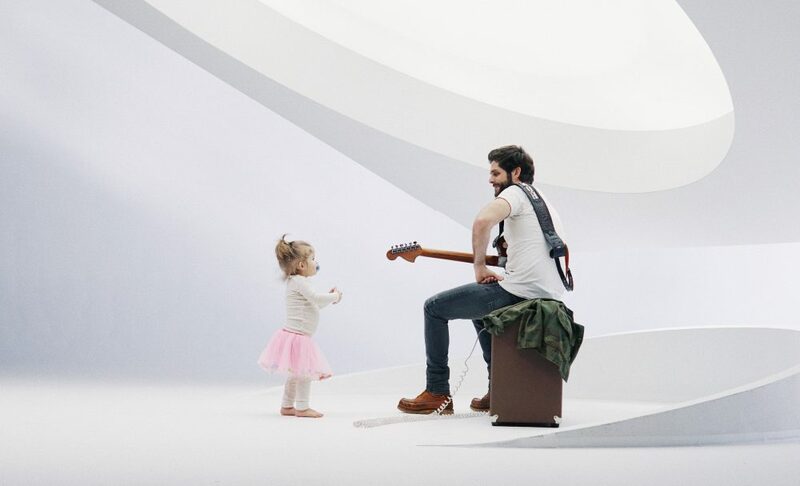 Thomas Rhett has a lot on his plate this year, from headlining for the first time on his Home Team Tour to becoming a father of two in the very near future. To top it all off, he squeezed in enough time to commemorate not just one, but two of his biggest hits during his double No. 1 party on Wednesday (March 1). Celebrating the momentous time with his tracks, “T-Shirt” and “Star of the Show,” Rhett mingled around with his family and friends as they wished him well with his massive success on the two radio smashes. 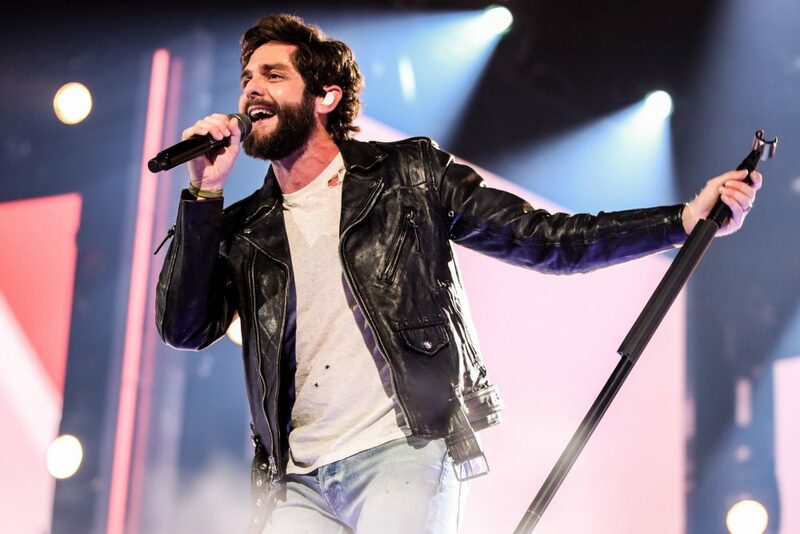 Gathering back in Nashville surrounded by family, friends and industry insiders alike, Rhett found himself in disbelief over the songs’ major plays despite their lengthy journeys to the radio airwaves. 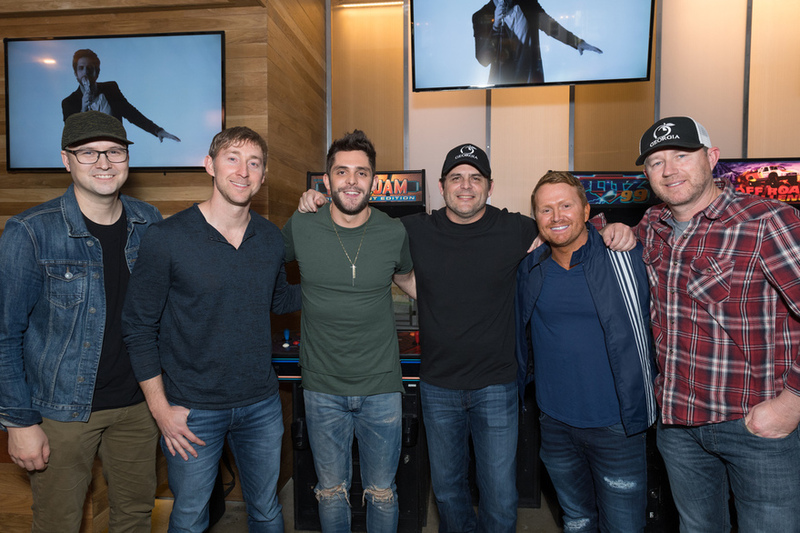 He also took time to praise the talented team he relied on to create such upbeat songs, including Ashley Gorley, Shane McAnally, Luke Laird, Ben Hayslip and his father, Rhett Akins. “Both of these songs are pretty crazy journeys, ‘Star of the Show’ being written so long ago and ‘T-Shirt,’ which we’re celebrating today. I’ve known all of these songwriters for so long. ‘T-Shirt’ was one of those songs that Tim McGraw had on hold when I wanted to cut it and then I couldn’t cut it on my first record and then he let it go and then I got it for my second record. Then we cut the song like four different times in the studio because we couldn’t figure out how to cut it. So that song has literally been somewhat of a survivor for a very long time, so I was so pumped when I got to put that out as a single. All these guys here have more hits than how old I am. So it’s just such a room full of talented songwriters today. I couldn’t be more blessed to be here with them,” Rhett explained to Sounds Like Nashville and other media in attendance at the event. Presented with plaques and gifts for the entire songwriting crew, Rhett humbly stood behind to let the songwriters get their shining moments for the hard work they put in toward the singles. 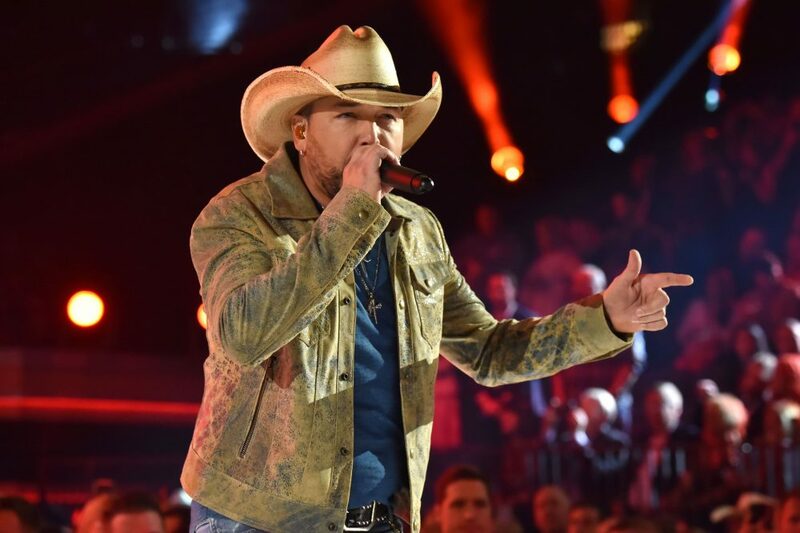 After going through the motions of noting both tracks were a long time coming toward radio, the country superstar hoped to relax in the place he’s earned over the past few years of his career and take his accomplishments in stride. “A lot of it came full circle this weekend. This past weekend was our first-ever headlining run. It was the first week of the Home Team Tour, so having that sink in plus knowing I got babies on the way and here celebrating the double No. 1 party, it’s really cool and I’m trying not to continue to think too far down the road. I’m really just trying to sit here and just really enjoy this moment because it’s very rare to have these kinds of moments where so many cool things are happening in your life. We’re just trying to soak it in and have fun with it,” Rhett said. “T-Shirt,” written by Laird, McAnally and Gorley, blew up last spring after being released to radio from his second album, Tangled Up. After sending out the deluxe version of his sophomore project, “Star of the Show,” co-written by Rhett, Akins and Hayslip, found its way to No. 1 as a stand-out bonus song to the previous tracklisting. Rhett currently is out on the road for the next few months on the Home Team Tour with Kelsea Ballerini, Russell Dickerson and Ryan Hurd.